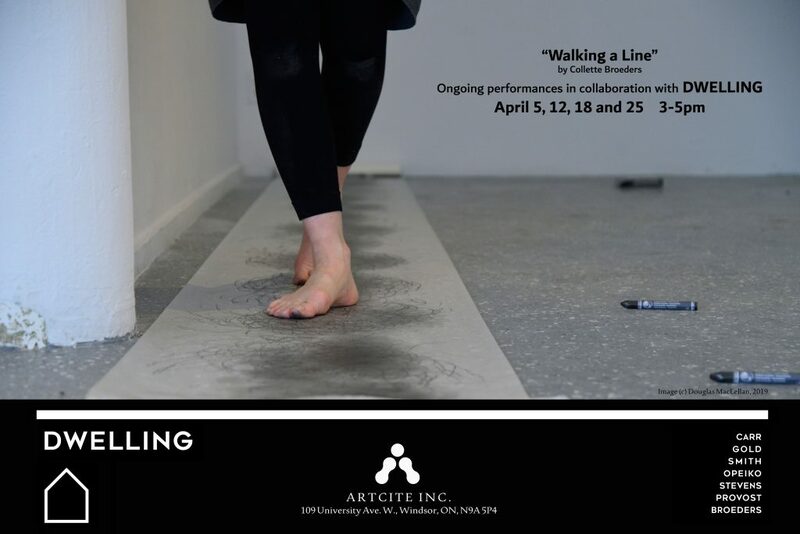 In collaboration with the DWELLING group, currently on exhibit at Artcite, Inc., Collette Broeders will be creating a series of live drawing performances throughout the duration of the exhibit. Visit Artcite, Inc. April 5, 12, 18 and 25 between 3-5pm to see the artist perform live. The gallery is open and free to the public for viewing. Regular hours for viewing: Tuesday-Saturday 12–5p.m. This entry was posted in Exhibits, General. Bookmark the permalink.